Siliguri: Darjeeling MP and Union minister of state S.S. Ahluwalia's opposition to the demand raised by Alipurduar and Cooch Behar residents to extend the route of Darjeeling Mail - one of the oldest and an elite train of north Bengal- have invited sneers from his political opponents. 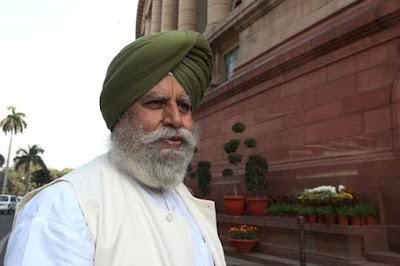 Ahluwalia, who inaugurated a Passport Seva Kendra here on Saturday, had said other districts from where the demand had been raised could be provided with new trains. "Darjeeling Mail is one of the oldest trains that had commenced its journey since 1878. It should continue to run in its existing route. Let there be new trains from Alipurduar and other places for better communication," the MP had said. He had also proposed development of smart corridors, both in rail and road transport, through Siliguri. Such comments by the MP, who visited his constituency after a gap of eight months, have invited criticism from other political parties. "He had stayed away from his constituency for several months and now, he is trying to play the sentiments of Darjeeling district by speaking on issues like the Darjeeling Mail route. Such moves would not work as people here, whether in plains or hills, have hardly got their MP by their side during hours of crisis," said a senior Trinamul leader. A leader of Gorkha Janmukti Morcha of the Binay Tamang faction said such comments hardly mattered as the Northeast Frontier Railway had formally informed that there was no plan to extend the route of Darjeeling Mail. Darjeeling MP and Union minister of state S.S. Ahluwalia's opposition to the demand raised by Alipurduar and Cooch Behar residents to extend the route of Darjeeling Mail - one of the oldest and an elite train of north Bengal- have invited sneers from his political opponents.